Youth movements are rising in Erie and around the world to restore this region and the planet. 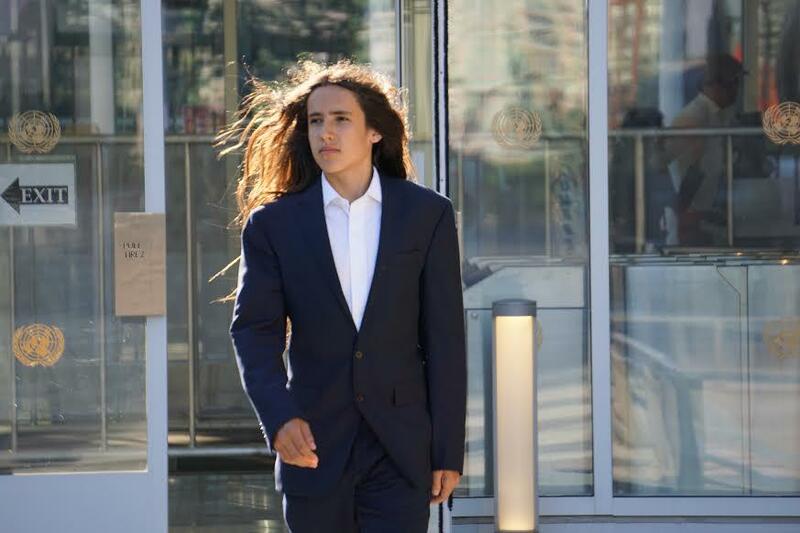 Xiuhtezcatl Martinez, 15-year-old indigenous climate activist, hip-hop artist and youth director of Earth Guardians, will be the keynote speaker for Beta Gamma Sigma's "Meet the Leaders of Business" Speaker Series sponsored by The Black School of Business, on Friday, October 9, 2015 at 7 p.m. in the Burke Building Auditorium, Burke 280 at Penn State Erie. The activist, who lives in Boulder, CO, will outline current environmental issues here in this region, possible solutions, and needed actions in a multi-media presentation that will include original hip-hop songs he will perform with his younger brother Itzcuauhtli. Beta Gamma Sigma is a premiere honor society recognizing business excellence. Lifetime members of the Society have earned the right to be considered the "Best in Business." Traditionally, the Society features CEOs from Fortune 500 companies. Martinez is the first youth leader to be selected as a leader in business, based on his impact as a world youth leader. President Barack Obama named him the 2013 "Youth Change Maker of the Year." This summer he was selected to join National Geographic on an Arctic expedition to study glacial recision. In July, he and Robert Redford met with 200 world leaders before the United Nations to discuss climate issues. Unlike most 8- or 9-year-olds, Xiuhtezcatl joined Earth Guardians, founded by his mother Tamara Roske. In less than six years, this small, yet passionate, grassroots nonprofit has reached thousands of youth across six continents, educating students about the climate crisis and engaging youth to become leaders in the climate movement in order to fight for the future that they would like to see. Additionally, Earth Guardian youth have spoken at the United Nations, given countless presentations and performances at conferences around the world. The event will begin at 7 p.m. in the Burke Building Auditorium. It is free and open to the public.